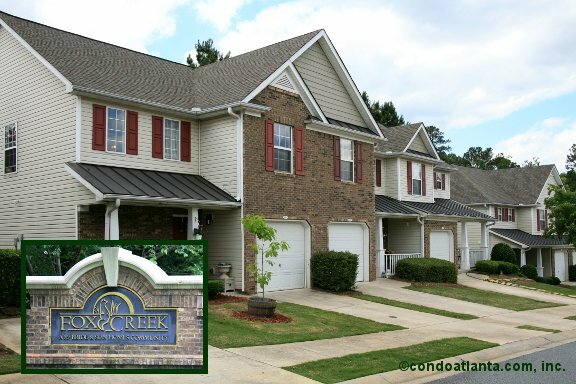 Fox Creek is a community of handsome traditional townhomes include the warm welcome of covered porches, and the convenience and security of garage parking. Enjoy all the benefits of a home located off Holly Springs Parkway in Woodstock. Golfers will appreciate a home location convenient to The Golf Club at Bradshaw Farm. Hoping to find your home near recreational parks and green spaces? Check out Olde Rope Mill Park. Make the scenic trek to Lake Allatoona. Commuters will appreciate access to travel routes along I-575.